I know that when summer arrives the normal thing to do is to just … bugger off from home. If London is your home then you have no excuse to just not take the first random flight out of any London airport to any of the four corners of the world – and I guess nowadays it takes less than 30 seconds to literary book a flight somewhere. If on the other hand luck, business need or personal choice is the reason to stay in in London, I do have to propose places where you can spend some quiet, relaxing, loving time on those summer afternoons and evenings with friends, with loved ones or even alone. Clapham. One of the areas I dearly remember and I spent much time in different periods of my London life is Clapham. Take the tube and if Stockwell is not your piece of cake, hop off at Clapham North and just enjoy a nice walk all the way until Balham. You can appreciate a very nice, trendy and full of youths and young professionals area. At Clapham South the park appears and you are presented with plenty of options to just lie down, drink beer, play football or just enjoy a nice chat. Then continue to Balham and if you are lucky the night will find you and you will feel some of the vibes in the “Missing you” song by Everything but the Girl. The video has many shots from the area and to my humble opinion portrays in a way that no other video does the London summer atmosphere – the dusk, the summer breeze, the loneliness in between so many people…. 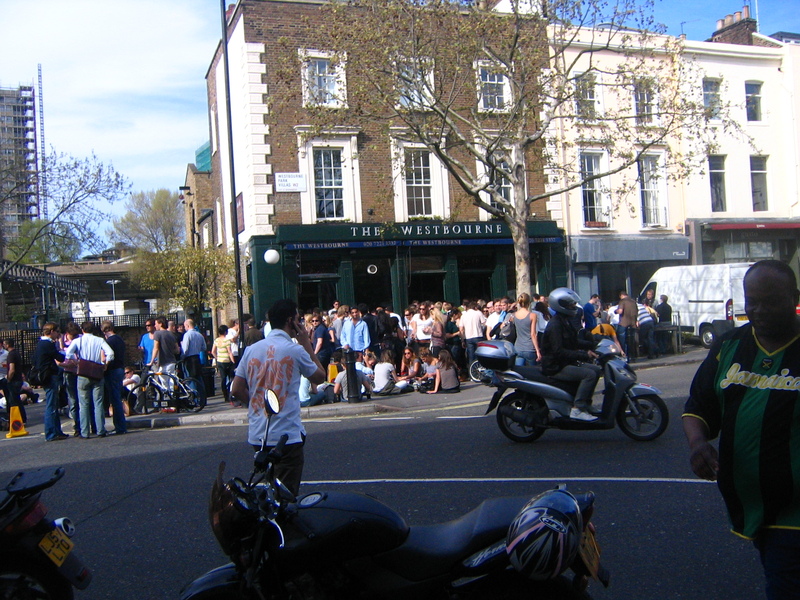 On the way back find a bar or restaurant between Clapham South and Clapham North and enjoy a South London summer. My choice would be TheSouk. (http://www.soukclapham.co.uk/) – a vibrant, cosy little bar-restaurant with some North African brushes in the decoration and menu and great cocktails. Another option is Hammersmith. 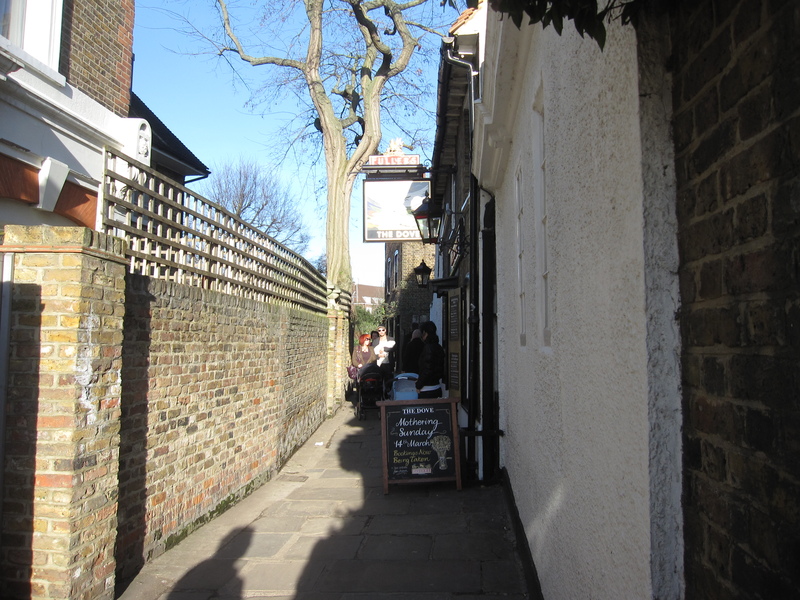 Just 5 minutes from the Tube, to the East, there is a nice 15 minute walk by the river with about 10 places to choose from – including a small grass area – for beer, food or chit chat. I would dearly propose The Dove. (http://dovehammersmith.co.uk/) It is a small, lovely and warm pub with a superb riverside terrace. On a summer afternoon it is just the place to just enjoy a relaxed beer. The slow moving river next to you, the summer breeze, the summerly deafening silence, the airplanes over your head getting ready to land at Heathrow, the few people around you just make a perfect set for a lager beer. I have this place in my heart! And this whole set is just an inspiration to make plans for the summer or the soon-to-come September. You feel your mind clearing up and ready to make a fresh start! 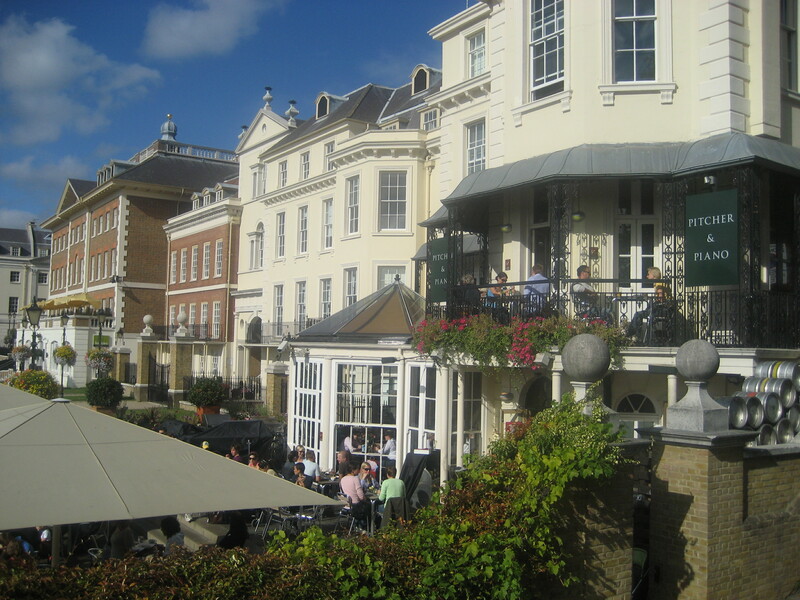 If you are feeling a bit more posh, then try Richmond, by the bridge. On a sunny Saturday or Sunday it is just packed with people and you can just get a beer and lie on the grass. All walks of life ..walk in front of you and they are a nice trigger for funny discussions. My choice would be Pitcher and Piano (http://www.pitcherandpiano.com/where-are-we/london-richmond) just next to Richmond Bridge. Get out of the tube, enjoy a nice walk to the bridge – especially if it is Saturday – and find a nice table in the P&P. You get some splendid views of the river, the bridge and the small garden park by the river, especially if you are on the second floor! If South of London is not your piece of cake then you can just take the tube and try one of the London parks. 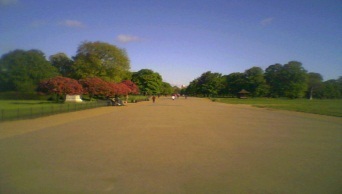 Of course Regent’s Park and Hyde Park are the easy choices but I would go for something slightly less touristy. 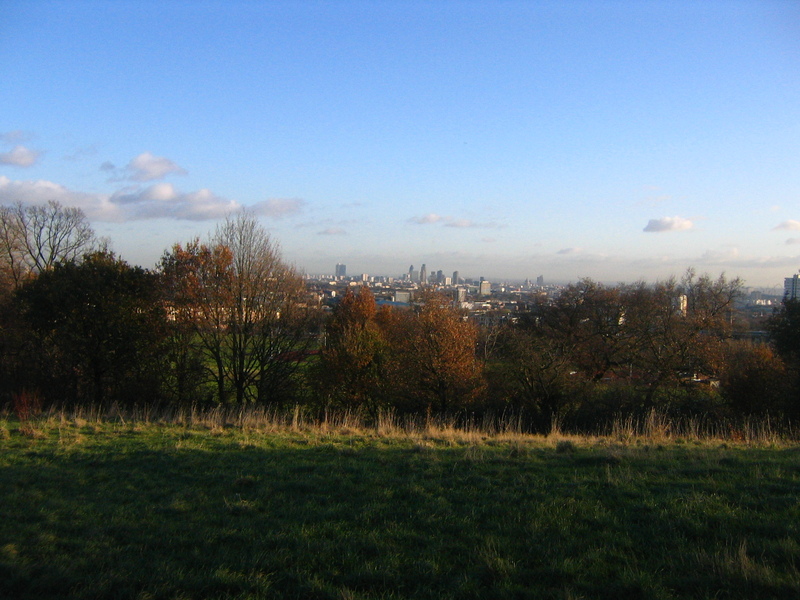 Hampstead Heath. You get some stunning views of the London skyline and if it is your first time there you can really start virtually piecing together the different London neighbourhoods you have visited and start appreciating London not just as collection of island neighbourhoods but as a fusion of truly amazing pieces of a city jigsaw puzzle. In a park there are no places to propose so I would go for a cold, crispy white Chardonne or a beer, lying on the grass, just unwinding and virtually watching and feeling in the air the London life evolving in front of you. Moving a bit to the East, you can also find yourself in Highbury and Islington tube station. I would suggest this for a Sunday walk. Get off the tube and walk south all the way to Angel. It is a spending walk on a very quiet neighbourhood with myriads of restaurants to choose from for the Sunday lunch! It is nice to feel the Sunday London life and the locals walking up, getting the morning paper having a coffee. Once you get to Angel made a 180 turn and head upwards and find a place for coffee or lunch. (The further upwards you go the better food and service you are bound to be offered). My choice would be Gallipoli! 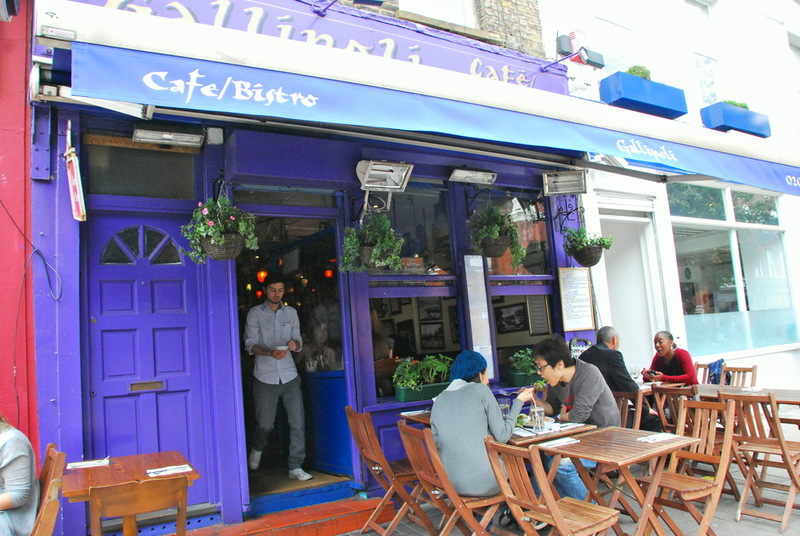 (http://cafegallipoli.com/bistro/menu) A Turkish restaurant-bar-coffee shop with great vibes and dishes. Thus, if you want to take it easy in a cosy, down-to-earth, local area, away from the river or parks, this is the place. My final suggestion would be the area north of Notting Hill. Get off at Ladbroke Grove Tube Station and walk eastwards having in your left the railway lines all the way until Westbourne Park station and Maida Vale. The diversity of areas and characteristics is really rewarding in terms that you get to see different neighbourhoods of London. Avoid the very touristy – especially on Saturday – heart of Notting Hill and walk anywhere in the areas. 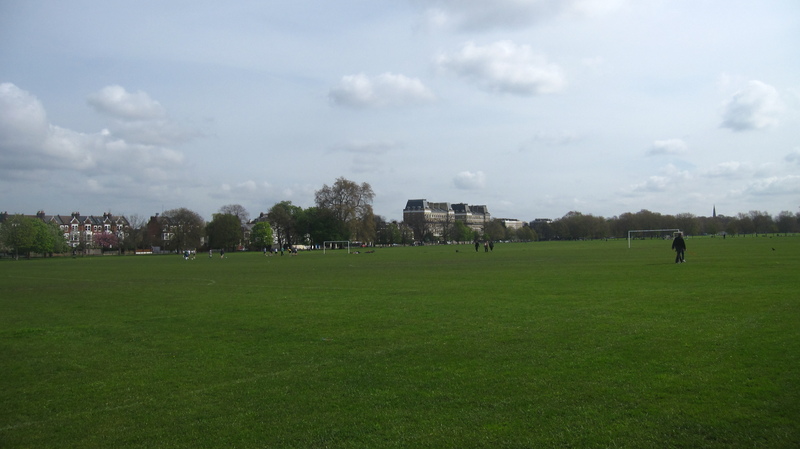 Of course Maida Vale is for the more posh people, but try to walk on the “off beaten paths” and you will be rewarded because the area is one of the … quietest in London, while being… a stone’s throw from central London. When you start feeling a bit … peckish or thirsty, try a superb place for spring/summer called The Westbourne! ! (www.thewestbourne.com) A great gastro-pub, with a lovely…beer or wine garden (in the summer do go, though, for a jug of PIMMS), with nice food and decent service. Just pick one of the stands outside and you will be sure to have a great time! The above places are just a small selection of numerous places in London one can choose from to spend sometime in the summer. Places that let you breath and feel the summer atmosphere of London. An atmosphere that helps you unwind and relax from the year that is ending and one that gets you in the mood for plans for the coming September. Such places, with the right mind-set, let you appreciate London in the summer and realise that staying in July or August in London is not something to be .. ashamed of, but actually a great opportunity to get to know the riches that the city has to offer in terms of experiences and feelings and emotions this part of the year.